The purpose of the Friends of Five Points Listserve is to provide an easy way for subscribers to exchange information about matters of common interest in the Five Points community of Athens, Georgia. Please read the Listserve Policy here. Subscribe to FOFP Listserve by following one of the two options below. To prevent others from subscribing you without your permission, you will be sent an e-mail message asking you to verify your subscription. Send an e-mail message to fofp-subscribe@friendsoffivepoints.org. Who may subscribe to this listserve? 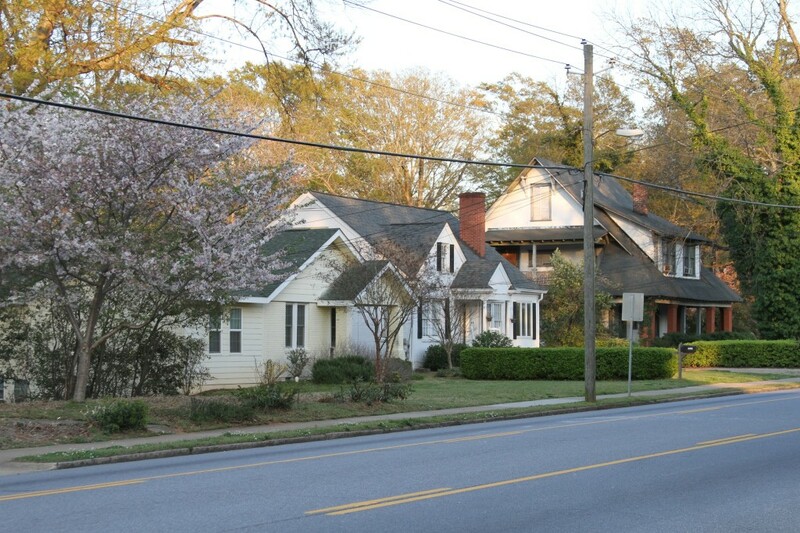 FOFP maintains this listserve for the benefit of people living in the Five Points area, including residents, property owners, and the business community. You must be a resident, property owner, or Five Points business to participate. You may be asked to prove your association with Five Points. If you don’t meet these requirements, but have a connection to Five Points that you feel makes you eligible for participation, you may be asked to explain why you want to join the listserve, and the administrators can use discretion to determine membership eligibility. To post a message to the listserv, send an e-mail message to fofp@friendsoffivepoints.org with your comment, question, or concern. Please remember that, unless there is a technical problem with your posting, your e-mail will immediately be sent to over 1,100 subscribers. To view the collection of prior postings to the listserv, visit the FOFP Archives. You must have a password to view the archives. Receive a password reminder by visiting this login page. To unsubscribe from FOFP listserv, get a password reminder, receive the listserve as a daily digest, or change your subscription options visit Member Options. Please read our listserve policy here. Messages intended for the listserve should be posted to: fofp@friendsoffivepoints.org. There are other old addresses floating around, such as an old Five Points Gmail account and a board member account. Don’t use those for your posting – they won’t work. Several of our listserve subscribers are having difficulties opening attachments if they receive the e-mail in digest format. Please e-mail the administrators if you are having this problem. Make sure to post only from the address you used when you originally subscribed to the listserve. This is the most common reason the server rejects e-mails. Many of you have multiple addresses, and often you may not even realize which one you’re posting from. When you post to the listserve, make sure that you send your message only to fofp@friendsoffivepoints.org. If you include the FOFP listserve address in a list of e-mail addresses, the server will reject it. It’s a spam-filter thing. Messages (including any attachments) can be a maximum of 25MB in size. That means you can’t send huge photos and other large documents. The reason for this limitation is so that you don’t crash subscribers’ systems. If you have a big attachment, you will need to reduce the file size before you send it. If you file a spam complaint with your Internet Service Provider (ISP) about mail you receive as part of the FOFP Listserve, your ISP often automatically removes you from any and all listserves you’re subscribed to. The most common problem we have is with AOL users. We know that it’s tempting to file spam complaints, but before you hit that button, remember that you will have to re-subscribe yourself to listserves like FOFP. A lot of people can not see the e-mails they post to the list. If this is a problem for you, you’ll need to go into your own settings and fix it. At the bottom of any e-mail you receive from the listserve, click on the link to update your settings. You might need to create a password (or have the system send you your password). In the gray table, you will see a section called “Receive your own posts to the list?”. Click on Yes and save by clicking on “Submit Your Changes” at the bottom. There are many other settings that you can update in this same screen, such as your subscription address and the digest setting. Digest is an option you can choose if you just want to receive one digest e-mail per day rather than multiple e-mails. Please note that choosing the digest option means that you will not receive time-sensitive e-mails, such as lost/found pet notices, last minute Bulldog tickets, etc. Many of you are less technically savvy. Please let us help you if you’re having any issues. If changing your subscription address, changing to digest, or other issues are beyond your ability, just let us know. We can do some of those things from our end. If you have any questions or problems, just let us know! Listserve questions should be directed to: fofp-owner@friendsoffivepoints.org.